Likewise, I bid you all the same and hope you have been lucky enough to receive one of Marianka’s superb Victron 2015 Calendars. This is the theme of my first blog for the new year. Over the holiday period I was privileged to meet David Gray C.Eng MRINA SNAME MYDSA, of Mylne Yacht Design. David is also Chief Naval Architect of their sister company Ace Marine Limited. 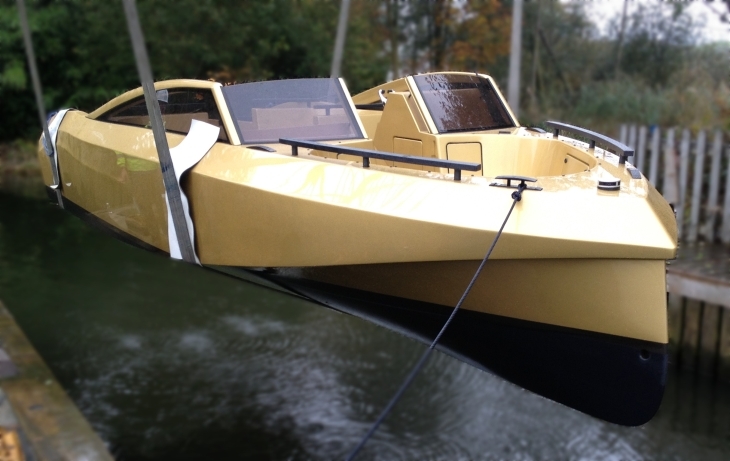 The highlight of the day for me as an an electric sailing yacht owner and sailor, was seeing the Mylne Bolt 18, all electric propulsion Superyacht tender, in the flesh. 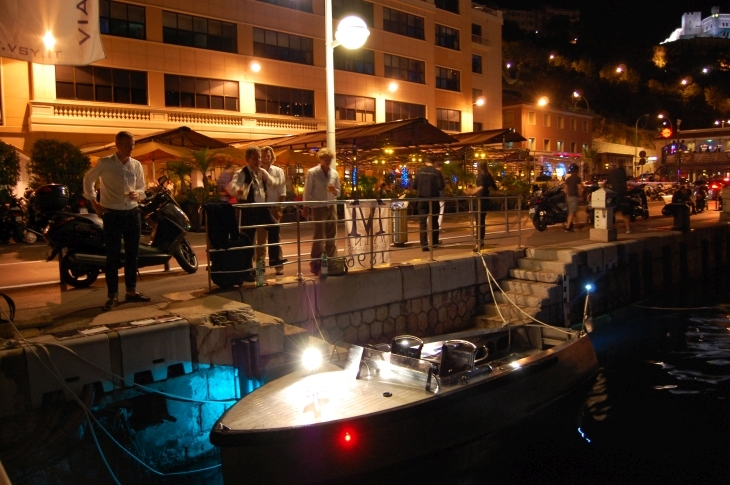 A photo of this classic looking tender, styled and built in a modern package can be seen in the headline image above, whilst berthed in Monaco. Mylne have a fabulous pedigree going back to 1896 with over 650 original designs, 7,000 original drawings + technical papers and original correspondence books in the Mylne archive, which represents one of the most important historical yachting records in the world. That may well be the greeting for the new year, but that is certainly not the case with the Mylne boats. Here are a few photos of their classics first, to whet your appetite, before we see how the modern Bolt 18 uses a Victron Centaur charger in a novel and interesting way. Here in David’s words is how the Centaur has been integrated into the Bolt 18 and the novel way in which it is being used. The photo above shows the Centaur tucked away in the port/forward side underneath the bow. Here are Bolt’s specs which gives us some idea of the ever increasing power demands in modern systems. 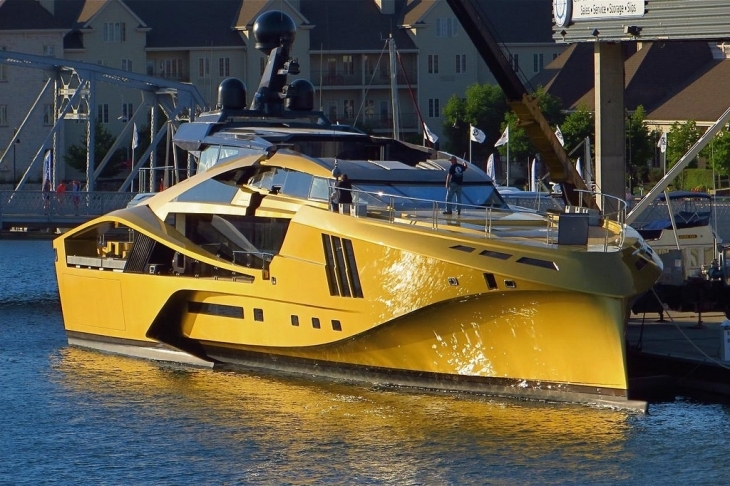 The still shot below is from when the Mylne Bolt was launched in 2012 in St. Tropez. Subsequently she went on to set set the British Water Speed Record at 32.77mph for the National “Unrestricted Electric Runabout” class. To see how she goes at speed, do have a look at her launch video as she blasts along at over 30 + knots, with phenomenal acceleration to boot. What about you? Do you make new year resolutions? Personally I don’t but let’s sow a seed here for 2015. If you have interesting designs and dreams like David that come to fruition, we’d love to hear from you, especially if they use Victron Energy products. If you do then I’ll leave you with a thought from an interview by Sail Far Live Free, with noted ocean sailor Andy Schell from 59-North. Let’s leave you with some more inspiration from Mylne. 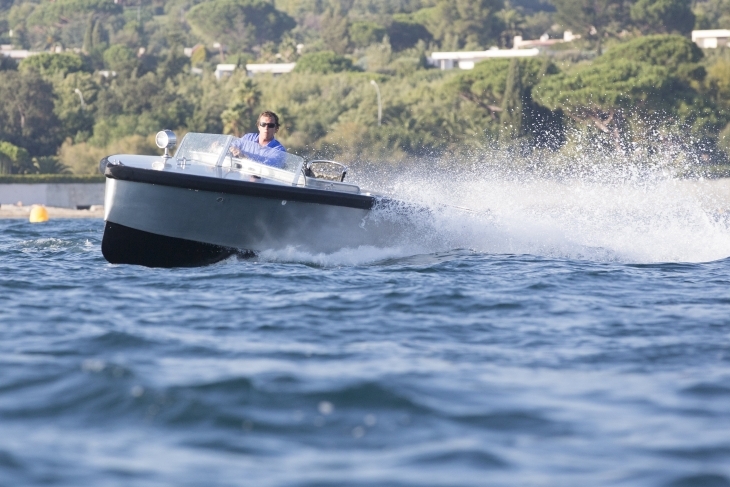 The Carbon Jet 685 was inspired by and for the new Palmer Johnson SuperSport 48 and her yacht tender is especially designed to meet the owners very exacting requirements of speed, comfort and safety. The new Mylne Carbon Jet 685 will carry guests and crew in exquisite luxury and comfort. 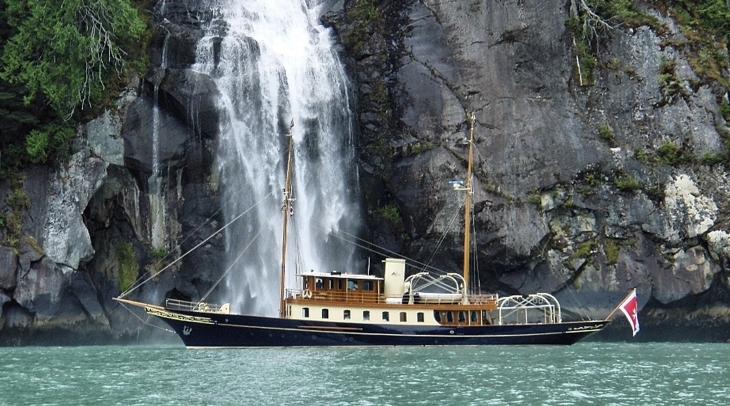 This new design from the Mylne drawing board has now been delivered by Patterson Boatworks in Cumbria, England. 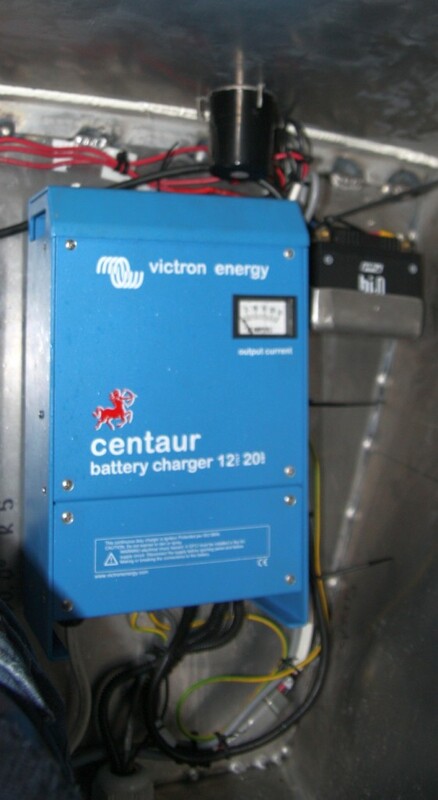 Wishing you all the best for 2015 and looking forward to seeing how you integrate Victron Energy products into your designs and systems in 2015 and beyond. 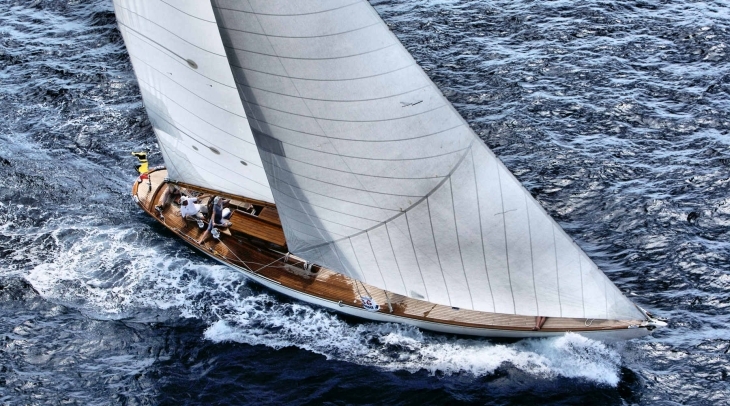 Thanks to David Gray for his time and the images above, which are courtesy and copyright © Mylne Yacht Design.